We all have our favorite surfing movie. Some inspire us, some impress us, and some transport us to far-flung destinations we visit in our dreams. Sometimes movies feature surfing but are not really about surfing at all. The ones that we highlight here are about surfing, for surfers. Whether you’re getting pumped for an upcoming surf session or relaxing after a long one, grab some popcorn, dim the lights, and hit play. This classic inspired generations of surfers and helped propel the sport’s popularity in the years that followed. It tracks the path of Robert August and Mike Hynson as they circle globe chasing waves and meeting people. This movie may be a little old, but you couldn’t tell from the surfing. This film will always remain on every surfer’s list. And if you visit us at Witch’s Rock Surf Camp, you may find yourself in a lineup with Robert August himself. Featuring big-wave surfer Shane Dorian, In God’s Hands is a semi-fictional account of three surfers in search of the perfect wave. 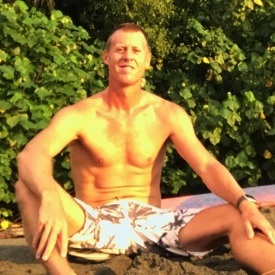 It’s in part a surfing story and in part a philosophical one, delving into what surfing means to Dorian. 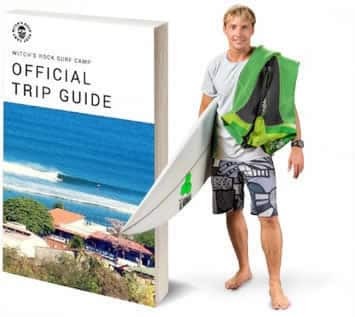 It features fantastic shots of big-wave surfing and the intense physical and mental training and education that go into it. 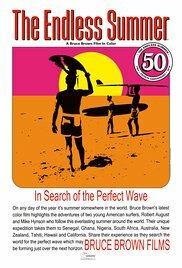 If you have any doubt about whether surfing is a global phenomenon, this movie will quickly put that question to rest. A purely inspirational flick, Step Into Liquid reminds us that you do not need a perfect ocean break to surf. In fact, you do not even need an ocean at all. This film tracks the various ways in which people surf, from familiar spots like Oahu’s Pipeline to unexpected ones in Michigan and Texas, and an open-ocean break 100 miles off San Diego’s coast. At the time, it captured the growing phenomenon of surfing, and it still inspires today. Although the title focuses on big-wave surfing, the movie explores the sport’s rich history over 1,500 years. Still, the film is not for the faint at heart as the world’s bravest surfers pull out their rhino chasers to charge some of the most intimidating breaks in the world at Waimea Bay, Pe’ahi (Jaws), Maverick’s, and other locations. Hold on for the ride. 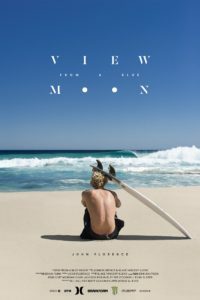 Shot in breathtaking 4K, this film follows the world’s current number-one-ranked surfer, John John Florence, as he explores breaks in Hawaii, Brazil, South Africa and Australia. View From a Blue Moon showcases why Florence may continue to dominate for years to come. In short, his surfing is spectacular—next level stuff—and the cinematography, the music, and the pacing make this one of the most stunning films you will find. 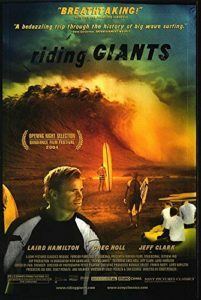 This movie tracks the life of legendary waterman Laird Hamilton, starting with his upbringing as an outcast in Hawaii. The film goes beneath the surface on Hamilton, exploring what drove him to chart his own path in the surfing world and ultimately pioneer innovations like tow-in surfing and hydrofoils. It’s an in-depth look at a unique surfer—one who continues to inspire others and push the boundaries of what it means to surf. Did we miss one of your favorites? Share it on our Facebook Page!